If you had to choose a super power, what would it be? Would it be invisibility or maybe strength? No matter what you decide on, the ability to fly was probably a worthy contender. The freedom to soar among the clouds without a care and to easily get from point A to point B appeals to many people. Dreams of flight led to the creation of the airplane, allowing humans to know how birds feel. Unfortunately, not as many people are sharing that aspiration as they were in the past, and the aviation industry is experiencing a shortage of workers that will only increase as time passes. In its 2015 Pilot and Technician Outlook, The Boeing Company predicted that there won't be enough pilots and technicians to manage the anticipated 38,000 airplanes to be added by 2025. To meet demand, global services will need more than 1 million new commercial pilots and technicians by 2034. Schools and businesses will need to take steps to increase interest and awareness of these positions. "The challenge of meeting the global demand for airline professionals will not be solved by one company alone," Sherry Carbary, vice president of Boeing Flight Services, said in a press release. "Aircraft manufacturers, airlines, training equipment manufacturers, training delivery organizations, regulatory agencies and educational institutions are all stepping up to meet the increasing need to train and certify pilots and technicians." According to the Fair Treatment for Experienced Pilots Act, pilots are required to retire once they reach 65 years of age. Once they hit 60, they need to have another pilot with them under that age. The Aviation Week Network reported that, because of these criteria, approximately 20,000 positions will become available in the next seven years. While these openings should go toward the most experienced pilots, that's not always the case. The supply chain doesn't flow evenly. Instead, it jumps around and allows newer aviators to take the helm of main airplanes, which results in regional services to have worker shortages. Becoming a pilot in the U.S. requires a lot of time, effort and money. Aviation schools and programs are expensive, and many students are in debt when they graduate, Aviation Week Network explained. 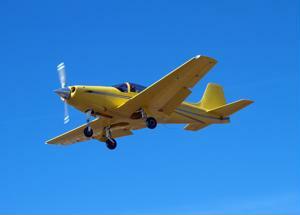 The country also requires a minimum of 1,000 flight hours for people to earn their pilot license. However, this isn't the case in all countries. The Asia-Pacific region allows recent graduates to take over the controls without the minimum hour criteria. This benefits the area, as Asia-Pacific will require nearly half of the new pilots and technicians in the next 20 years, according to Boeing. Unfortunately, this may leave other students feeling dismayed, and many newly licensed individuals could believe the costs of flight school wasn't worth it. Starting as a regional pilot only earns them a $30,000 per year salary, while their counterparts at major airlines may make up to $150,000, Aviation Week Network reported. This results in graduates applying for positions at larger companies to earn the bigger salaries to both pay off debts and fulfill their aspirations. The supply chain may have to be adjusted to build interest in aviation among the younger generations. If potential employees know they'll be stuck working lower salary jobs while paying off college loans, they may change their career goals. Worker procurement may continue to face difficulties until bottlenecks in the workflow are figured out.